Every new day begins with data punching of new delivery orders into dispatch board which is the most laborious part of fleet management business. 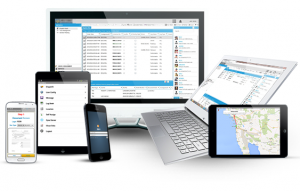 TruckDestino brings un-matched innovation that completely relieves you from data crunching. By using TruckDestino, you can pull your delivery order file directly into dispatch board, and it will instantly capture all the information automatically into respective fields of order consignment. Get this deadly work turned into exciting click and play. 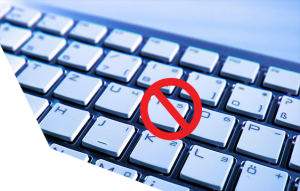 No hardware, no onsite maintenance needed. 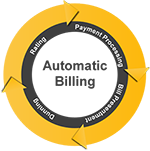 With pre-configured customized options, all of your payments and revenues get billed automatically. TruckDestino relieves you from the months end billing hassles and brings you the ease and comfort that you could think of including auto calculation of demurrage and Per-diem penalties, auto calculation of Last Free Date for an Export or Import container. Do not miss your LFD (last free day) at the port terminal. Do not make your staff spend much of their time on visiting carrier web portals to trace the containers. 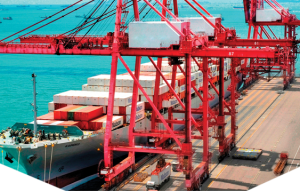 TruckDestino runs its tech wheel several times a day and automatically pulls container availability data from the port terminals, providing you accurate alerts on when your container becomes available for pick up. No web surfing, no tedious searching, instead Dispatch smart with TruckDestiono. 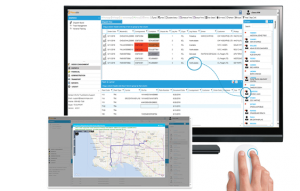 In fleet management business,it was hard to find a user friendly dispatch board. TruckDestino brings best in the class user interface in which you would love to live and breathe, the one that empowers you to perform various tasks by using. 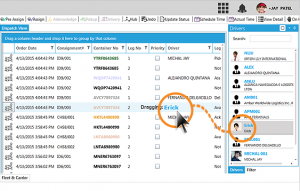 Use Drag & Drop Facility to assign a specific fleet or driver to perform a trip. Auto notification gets transmitted in to driver’s Android, iOS phone and mounted tablet by which he can view entire details of assigned trip remotely. Trip progress is updated in the system as the driver completes each phase of the trip. 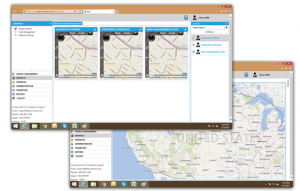 Tracking of your drivers or vehicles becomes easier and quicker. 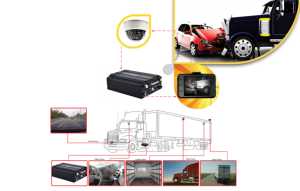 TruckDestino provides multilayered visibility to your assets and drivers without directing you to the external portals or devices.